I tend to let it be well known that I have a serious love of books. I surround myself with them in my daily life. Books I’ve read, books I mean to read, books I plan to read again… Piles of books stacked on shelves and in odd little corners all in an order that makes perfect sense to me and me alone. I will seldom be found without a couple of books in the bag I’m carrying and certainly wouldn’t travel without the lighter e-reader version of a library. 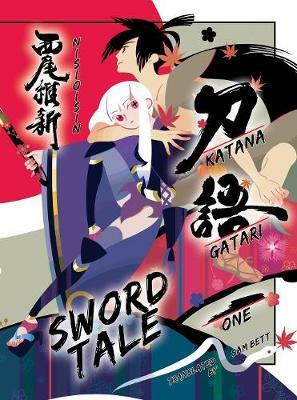 So with that context, when I say that Katanagatari 1, a compilation of the first three stories of Sword Tale, is an extraordinary book, I do not say that lightly. I say it with love and admiration as right from when I first opened the package this one arrived in and felt the cover and admired the art work, that there is something very special about this book. Part of that may be it is a rare case where I have a hardback version of a book, if only because there was no paperback version and I was keen enough to read this story that I did splurge a little on my usual book budget (a decision I do not regret in the slightest). However, unlike many hardcover books with their plain cover and then floppy book jacket that gets in the way while reading until you simply discard it in irritation, this one has the art beautifully attached to the actual cover with no flappy extras to interfere with the texture and feeling of the book or with trying to read it. Now, full disclosure, I was already in love with the narrative here because the anime is something of an extraordinary watch with its 12 episodes of 40 minutes and quite unique art style. So I went in to this one knowing the basic outline of the story and what to expect. Still, I feel that whether you go in knowing or not nothing can diminish the pure joy of reading this book. The care gone in to the book’s presentation only continues on the inside. The fold out art work is stunning, a table of contents given in English, and then a page which shows the first book’s original content’s page (this version of the book contains the first three ‘books’ of the 12 book story). Throughout the book are footnotes which provide reference to the original kanji used and how it has been translated which helps at times to make sense of puns or jokes the characters are making or just adds insight into what the particular name of a place or attack might mean. These don’t need to be read in order to follow the story but they add enough in that I found myself regularly going back to read them if I’d gotten caught up in an action scene and skipped them for a page or two. While unnecessary, they just add a little something more to the story and I really appreciated them. Peppered throughout the books are liberally illustrations with double page spreads showing characters, action sequences or new settings. Each consistently demonstrating the unique art style that the anime certainly emulated and they are striking images that are well worth spending some time just taking in. At the ends of chapters and in the transitions between books there is a character note page that usually outlines information about the ninja or enemy faced in the book and again this isn’t necessary information but it just adds a little extra. All and all, Katanagatari has gone all out with worthwhile extras. But, what about the writing and the story itself given this is a book review? I’m pleased to say that the writing style is nothing short of lyrical. You flow from one event to the next with dialogue keeping the pace swift in places or bringing it up short in others. Enough description is given as is needed to sketch the scenes without belabouring the points. Action is tightly written and again enough description given that you know what is going on, and if they happen to linger over explanations of particular attacks there is usually some purpose behind it. Overall though, the tone of the writing is highly entertaining. While I know this version is a translated work and some of the author’s original style probably got strained out in the process, there’s a genuine love of language and words that comes through with the writing style that makes it pleasant to read. There’s also a fierce desire to not take the situations overly seriously as the characters lurch from one scenario to another. Togame, the Schemer, and Shichikia, her sword, are a wonderful duo who bounce off one another in personality and dialogue in a way that is fun to read. The zany nature of the ninjas introduces provide enough in the way of sensationalism without crossing over into sheer ridiculous (though at times it is a fine line). There’s some tongue in cheek and self-aware comments from the narration but none so persistent that it becomes grating, and you just can’t help but feel that the author knew exactly what they were doing and where the lines were that would push it from amusing to silly, self-aware to smug and kept firmly on the side of enjoyable without sacrificing individuality in the process. Did I mention I really loved reading this? 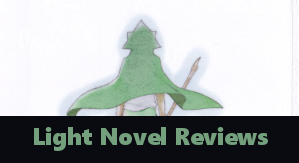 While the story across each of the three books is formulaic, enough elements are differentiated that it doesn’t feel like a rinse and repeat effort and there is method in the repetition. The scenario of collecting the twelve swords automatically sets up a quest of the book situation where one sword becomes the target of the hunt and Shichika and Togame need to deal with whoever stands between them and the sword. However, in just these three books we travel from Shichika’s home island to a desert to a shrine and in each place they face off against a different kind of enemy with a different reason for holding firmly to the sword. I honestly couldn’t say I was dissatisfied with anything in regards to reading this story. Except of course where book 2 is not yet released so I’m now waiting for the next three stories so that I can continue the journey. Here we are at the end of the season and it is time for one last chat with Irina about The Morose Mononokean (at least this season and fingers crossed that we eventually get a third). We’re over on Irina’s site today so to check out our full discussion about The Morose Mononokean Season 2 Episode 13 hop on over and be sure to leave us a comment. This week I’m counting down my favourite screen caps that I collected during the Winter season. Of course, I’d love to know what your favourite screen cap was from the season so feel free to share a link in the comments below (if it goes to Spam I’ll rescue it). However, when I decided to make this list I started wondering what actually makes a good screen cap and I realised that I probably am the least qualified person to answer that. For me though, it is an image that captures a moment or a mood from a story perfectly, or it just looks really pretty. Other people might actually look for an image that is of really good quality and is balanced and a whole bunch of other things. But this is my list, and as I said above, I’d love to see your favourite screen caps from Winter 2019 so feel free to share your own. By the way… Spoiler alert as some images come from key plot moments and final episodes. I’m throwing a lot of scenes from The Promised Neverland into the Honourable Mentions because that anime is beautiful, rich with symbolism, great use of light and dark and colour to set the mood and tone. But in a single still image a lot of the impressive atmosphere that comes through the use of sound, movement, and visuals is lost. So while I enjoy the images I collected of The Promised Neverland, none of them are really jumping out as the most interesting as a still image. Which is a shame because visually that is a great anime. For all that I’ve made it clear Sword Art Online Alicization isn’t really working for me from a plot point of view, when it has one of its moments it really nails it. And there have been a couple of moments where it has just been truly spectacular to watch, to the point where narrowing it down to this screen cap from episode 14 and Eugeo fighting was actually really difficult. Yet, this was a great moment for his character, a fairly interesting fight sequence, and just a solid visual and so I absolutely had to pick it. Still the image of the girl exploding in episode 15, Kirito using his sword art in episode 15, Alice using hers in episode 16 and Eugeo’s fight in episode 18 have all been spectacular for grabbing images. This anime has been visually fairly ordinary, though there have been a few standout moments. Still, Hina’s teary confession on the roof to the other teacher that she probably would have still fallen in love with Natsuo and done what she had done whether he’d warned her or not was a moment the show truly nailed. A close follow up, in the same episodes comes from Natsuo writing his novel and the imagery used as he writes his feelings onto the page. Very nicely done. I’m just going to put this out there, for any problems you might identify with Kaguya-Sama (and I’ve got a few) any scene where Fujiwara appears is almost instantly improved and amazingly enough the girl comes out spectacularly in screen caps. She perfectly captures the mood of the scene through body language, facial expression and usually props. I think about the only reason I would watch the show again would be to get more Fujiwara screen-caps at this point. The Morose Mononokean is a visually interesting anime due to the contrast between the yokai and mundane world. The colour palette can entirely change depending on the setting but regardless it is always fairly bright and pleasant to look at. However, episode 6 brings us a fairly confronting sequence for Hanae Ashiya when Yahiko, the fox, decides to trick him by turning into an illusion of the Executive. The end result is a dangerous awakening of power in Hanae and the visuals just absolutely nailed the tone and gravity of the scene. Run With The Wind was visually a very impressive anime and I loved a lot of what it did with sound and movement as well, but even in an anime with plenty of great screen cap moments, episode 20 is the one that I’ve fallen in love with. Why? Because of the subject matter. Shindou. Fevered and unwell yet determined to finish his leg of the race for the team. It is unrealistic that he doesn’t just faint and that his time is not so poor that it doesn’t throw them out of the competition entirely is fairly unbelievable, and yet there is something beyond inspiring about the sequence. His face says it all and it is the single most inspiring moment from any anime in the Winter 2019 season and it is a moment I’m going to hold onto for a fairly long while. Yay! 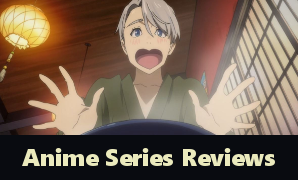 Winter 2019 has been a fantastic season and while I shared my overall thoughts on the anime I watched this season earlier today, this post is about you, the reader and what you voted on. So we’ll start at the bottom and work our way to the anime of the season as voted by you. All anime that received a vote will be mentioned. This time around there were 313 votes which is the most ever for one of these polls. Thanks so much for participating. I tried this. I didn’t hate season one. But episode one of season 2 did everything I didn’t like about season one in the one episode and so I decided to wait until the season was done before I picked it up. I guess that means I probably need to do that at some point. I haven’t really given this one a go and honestly none of the reviews I’ve read have really made me want to. Still, someone out there clearly likes it so maybe check out a review or give it a go. As much as I’ve defended the Price of Smiles during its run, anime of the season it really isn’t. Still, I was happy to see someone gave it a vote because it wasn’t actually that bad and some parts were actually reasonably good. I tried an episode of this and it didn’t work for me. Very few people have covered it this season so I’m still undecided if I should go and try and binge it. Still, one person thinks it is worth the time. I oopsed and left this one off the polling list but one determined voter wrote it in. I’m guess this would have received more votes if it had been listed. Sorry. 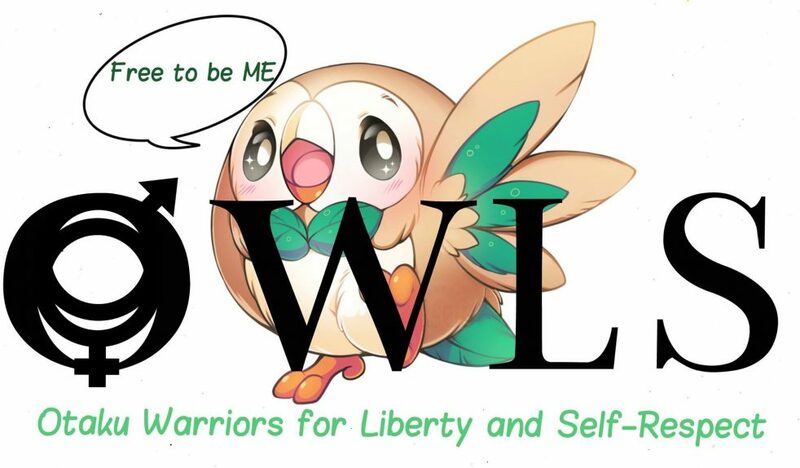 Not for everyone, this is a dark magical girl story with a bit of a military colouring. There’s torture and fairly bleak situations for our fairly young heroes to face and the ending is pretty much a non-event. But in terms of dark magical girl stories, this one brings some interesting ideas and you could certainly do worse. Fair enough. This one isn’t anime of the season quality in any way, but it is a nice, average, and fun anime and one well worth checking out if you in any like reverse harems or time travel stories with a bit of a supernatural edge. It’s cute and harmless and I’ve had fun, but I fully understand why two votes is all this one collected. I didn’t watch season one and I’m not even really what this one is about. But three people think it is great so maybe check out a review of it. Another one I accidentally left off the list to vote for and yet 3 people wrote it in – one in all caps so I assume they were frustrated that they couldn’t vote for it. I have no idea about this one at all but clearly some readers believe this one needs your attention. Kind of curious about this one getting four votes. Don’t get me wrong, I’ve had a lot of fun with this trashy romance this season, but I still find it interesting that some have decided it is the top of the season. Haven’t watched season 2, don’t really intend to. Also haven’t really seen many reviews of this one so I was surprised to see it picking up votes. Watched part of one episode of this. Not for me. Definitely worth checking out someone else’s review though to see if this is something you’d like. I didn’t get very far into season one of this one and have no idea what has happened in season two. Six people think it’s awesome though so maybe this one is worth trying if you watched the first season. Honestly this one surprised me by how charming it actually has been and six votes here does not surprise me. There’s a definite appeal to this anime even if it doesn’t grab everyone. It got votes! Given how few people have been covering this anime I’m just happy that this one collected any votes. Season 2 has improved on season one in every way and has been highly entertaining. If you were waiting for it to finish before picking it up, now’s the time to binge. Still haven’t actually finished watching this one. I’m finding it increasingly hard to do so. That said, for all that a lot of people find this one confusing and a little dull (and I’d be in that list), there are plenty of people who’ve found it to be quite a compelling story. 9 votes here reflects those who have really connected with this one. I’m honestly glad I didn’t cover this one this season. I watched a few more episodes beyond the first one after some positive reviews from other bloggers but it just isn’t my kind of story. That said, this one is probably one to read the reviews for because if you like the set up and style then you may very well have a good time with this one. This may very well be one of the underrated gems of the season. Not perfect by any means, but a really nice watch if you are looking for something low key with just enough feels to give you some warm-fuzzies at the end. Colour me shocked that this even got 14 votes. I genuinely went into Sword Art Online Alicization wanting to enjoy it and have a good time given I’ve been a fan of the franchise since Aincrad, and to be honest I’ve been left mostly wondering where the fun has gone from the series. Still, some people are clearly still enjoying it and hopefully they will get what they are wanting from it when it continues. I honestly expected this to be higher, at least higher than Shield Hero. However, on reflection, even the die hard fans of the show have gotten quieter during the second cour so maybe that slump kind of put them off a bit. Still, with a season two coming and a fairly strong core audience, I don’t think this is the last we’ve heard of slime. I’m a little surprised this one made it so high. Certainly there are readers who have been enjoying it but there are plenty who have made it known that they don’t like this anime and find it quite problematic. And yet, here it is. So happy this made a top 5 appearance. I know this one has been very low key compared to some of the big names this season, but it was my pick for best of the season and really the sheer consistency of quality in this one as well as the wonderful way the drama of the story unfolded just made it pure joy to watch (when it wasn’t causing me to burst into tears of sadness, happiness, and frustration on the character’s behalves in the final few episodes). I knew this one would reach fairly high in the reader’s poll. While it is doing very little for me, it is an incredibly well made anime so if the characters and the comedy work at all for you I can fully see why this would be an enjoyable watch. I haven’t finished season 1 and I wasn’t a fan so I certainly haven’t tried this. Still, I knew going into the vote, this one was going to be well favoured by my readers. 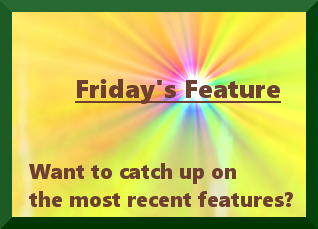 The number of you covering it on your blogs and giving it glowing reviews speaks volumes. While not for me, this one has certainly been a crowd pleaser. Yeah, I can’t watch this one (no access). So we once again get the anime that’s been heaped with praise of the season that I couldn’t watch even if I wanted to. Eventually I will see it and alas by then the hype will have made it impossible to live up to, but hopefully it is sooner rather than later because I am very curious about this one. Okay, no surprise here. The Promised Neverland has just been good. Even if you aren’t a fan of the genre, each episode has been well put together and it has told a remarkably coherent story. 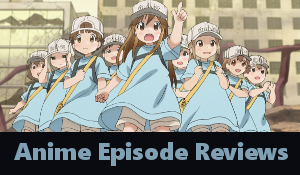 This one was charming and excellent fun and I really hope we get more anime as well made as this one has been. Now, let me know what you think. 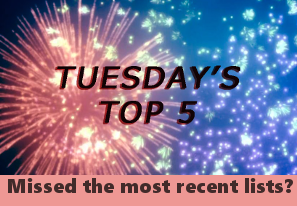 Did the anime you voted for make it into the top 3? Do you think any of these might be the anime of the year?